Julia Benjamin - Best known for being Susie Baxter on the TV series HAZEL. 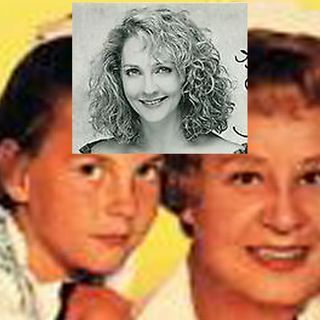 Julia Benjamin (born February 21, 1957) is a retired American film and television actress of the 1960s, 1970s and 1980s. She is best remembered for her character role as Susie Baxter, the daughter of Steve and Barbara Baxter and the first cousin of Harold "Sport" Baxter on the 1960s sitcom Hazel. Benjamin was also well known for her roles in the movies Mr. and Mrs. Bo Jo Jones and The Jordan Chance. Benjamin's career began at the age of eight on Hazel in 1965. Hazel was a sitcom ... See More that first aired in 1961 on NBC. The series centered on the Baxter family. The family included husband George Baxter, (Don DeFore), his wife Dorothy Baxter, (Whitney Blake) and their only child, son Harold "Sport" Baxter, (Bobby Buntrock). At the end of the 1964-65 television season, NBC canceled the series. CBS decided to pick it up for a fifth season. CBS cast Ray Fulmer, Lynn Borden, and Benjamin as George Baxter's brother Steve, his wife Barbara and their daughter Susie. The premise of the fifth season was that George and Dorothy had to move to the Middle East as part of a job promotion. So, Hazel and Harold moved in with Steve, Barbara, and Susie. The series was cancelled by CBS airing its last episode on April 11, 1966. It was never picked up again. After Hazel, Benjamin would only get roles in a limited few number of movies and guest starring roles on television. After Hazel went off the air, Benjamin would have only five roles in movies and television. Her television credits include three guest starring roles on the television shows My Three Sons, The Rockford Files and Riptide. Her movie credits include two TV movies; Mr. and Mrs. Bo Jo Jones (1971), and The Jordan Chance (1978). Riptide was Benjamin's last acting appearance. She has not acted in anything since.